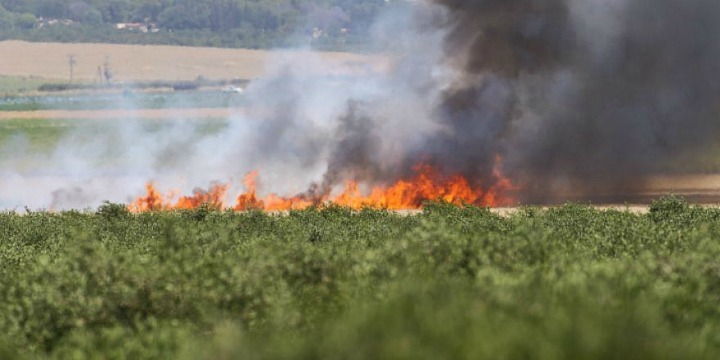 A fire in an Israeli agricultural field near the border with the Gaza Strip. Photo: Flash90. A petition urging the United Nations to condemn Hamas and other terror groups in the Gaza Strip for the campaign of environmental terror they have waged against Israel in recent months has gained thousands of signatures. Earlier this month, two top American Jewish leaders demanded global castigation of Hamas for its acts of eco-terrorism.